This heat wave has made me to do something I’d rather not have done. I’ve been forced to ditch the wigs much sooner than I’d planned. Even on the dullest of days when it’s cold outside they are annoying to wear. A wig is like a hat you aren’t able to take off. So this sweltering weather has made it unbearable. Please spare a thought for the far too warm wigged-up women. There are more of us than you realise. I’ve already managed to cut down on my wig wearing. Candice and Raquel really don’t get out much this days. 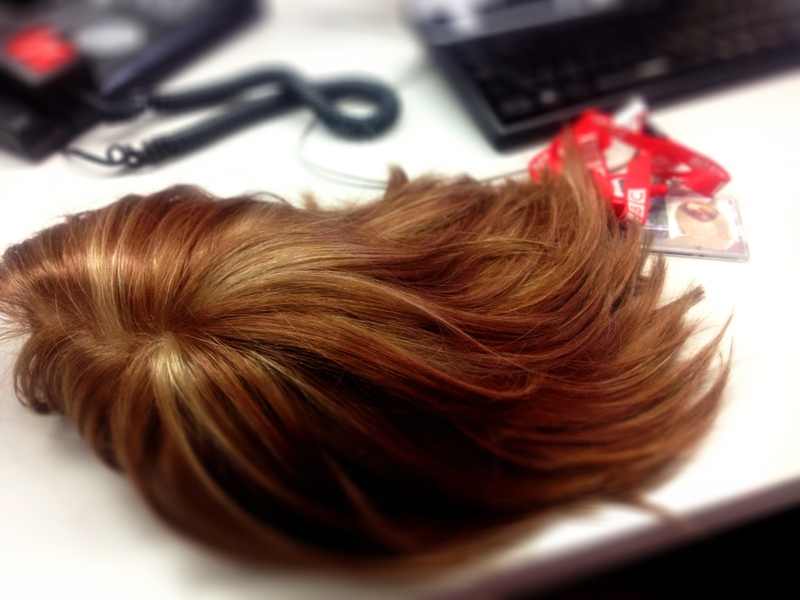 However I still wear a wig for work and important occasions. That was until last week. It was so hot that I couldn’t bear it any longer. It was making me feel ill so it had to come off. It’s strange and scary to go without a wig in public. I’m used to having long hair but now it’s incredibly short. Sometimes I forget and have a shock when I look in the mirror. I no longer see the healthy person I used to be. Considering everything I’ve been through I still find it hard to comprehend why it continues to matter quite so much. After all it’s only hair and I’m not bald anymore. The funny thing is that to the outside world I look well. But my lack of hair reminds me of the deadly disease that’s in my body, currently, hopefully, still asleep. I didn’t suddenly decide to have a cropped cut. The cancer did that. I’m trying to make the most of what I’ve got while I’ve still got it. I went to see my lovely hairdresser Angela and she managed to do something with the unruly regrowth. I now have an actual hairstyle and I like it a whole lot more. I’d say that anyone growing their hair back after chemo should get it properly cut sooner rather than later. It was amazing how much better it made me feel. I walked into the hospital with a sense of dread. This was my third round of chemo. I wasn’t worried but I just didn’t want to be there. I shouldn’t have to do this again. There was a big queue to get checked-in. People were crowded around the reception. The hospital reeked of cinnamon, for me this is the sickening smell of chemo. I felt like I was going to collapse from the stress of it all. I wanted to shout, I’m going to faint if I have to stand any longer. Don’t you know I have cancer? But then so did everyone else so I kept quiet. It was just a small wobble and I had my friend Tamsin with me for support. We drank cappuccinos and talked about happy things, anything other than cancer. Tamsin had brought me some lovely presents including a notebook to write my new List for Living. The staff on the chemo ward were pretty much the same. Last time I was there I had my own hair. Despite wearing my Raquel wig for chemo#1 some of them still recognised me. “Hey how you doing? You look well,” one of the nurses in a dark blue uniform said to me with a smile. I wanted to reply that I was only visiting, that I’d popped in to say hello. Not much had changed at the chemo cocktail bar. The patient patrons were still mostly pensioners but at least there were some new high-tech reclining chairs. Setting up the medical equipment, my nurse found it hard to get a vein. 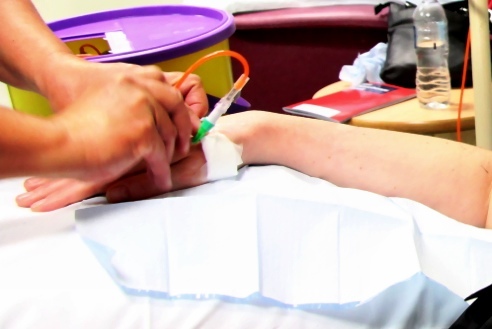 The chemo is delivered through an IV drip via an orange tube. My veins are rubbish and seem to run away at the sight of a needle. As my arm was gouged by the nurse, I looked away and towards Tamsin. She offered to pinch my other arm to take my mind off it. Now that’s what friends are for! The chemo is so toxic that a collection of other things are pumped into you first to prepare your body. I was warned that one of them would make me sleepy. It actually made me feel drunk, properly end of the night and need to go home drunk. And I hadn’t even started on the evil chemo cocktail. I pressed the recline button and settled back into my chair. I couldn’t keep my eyes open any longer. It was time to visualise James Bond shooting the crap out of my tumour. It seems that I’m not the only one. A woman called Nicky sent me a message to say that when she had chemo she imagined Vera Duckworth from Coronation Street running around her veins killing the cancer with a rolling pin! I slept almost all the way through the chemo. Now that’s my kind of a cancer kicking work-out. I was woken by a loud man on the other side of the room who was visiting an older lady. I felt dizzy and disorientated as I came round. I watched the loud man talk to the nurses and other people’s visitors. He alternated between patronising and sleazy. What an idiot. If you’re visiting a cancer ward, then please shhhh, don’t shout. You don’t want to get on the wrong side of someone who’s under the influence. As soon as the drugs were done, my friend and I made a swift exit. Like before, I’m recovering at my parents’ house. Last night I slept in my childhood bedroom – the same place that I retreated to after all the previous cancer treatment. It’s very sad to be back in my old bed again because of chemo. But at the same time I have amazing parents who look after me. Not everyone gets that kind of support when they’re ill.
And very importantly I’m lucky to still be alive. I first had the disease when I was in my late twenties, since then I’ve been living under a cancery shadow. There are many times when really it should have killed me. Despite doing this all again I feel so very fortunate. I still have options. Earlier I walked around the frosty garden a few times. When I’m recovering from treatment I always try to do some exercise. Compared to when I first did this after my massive operation last year, I now have masses more energy. I even jogged the final lap. Just because I could. Most of the day has been far less energetic. It’s passed in a tired and dizzy haze. There’s a certain type of Ukrainian vodka that makes me feel like this and so I’m pretending to myself that this is just a hangover. However this is a happy hangover. Getting a third cancer diagnosis was a huge shock but now I feel empowered. I’m back on the chemo cocktails and blasting that tiny tumour. Something strange happened. I was taking off my make-up recently at the end of a long day. Make-up is the cancer fighter’s friend. It helps you to look kinda normal and feel good. It fills in the gaps, giving you eyebrows and lashes plus a healthy glow – all the things that go missing. 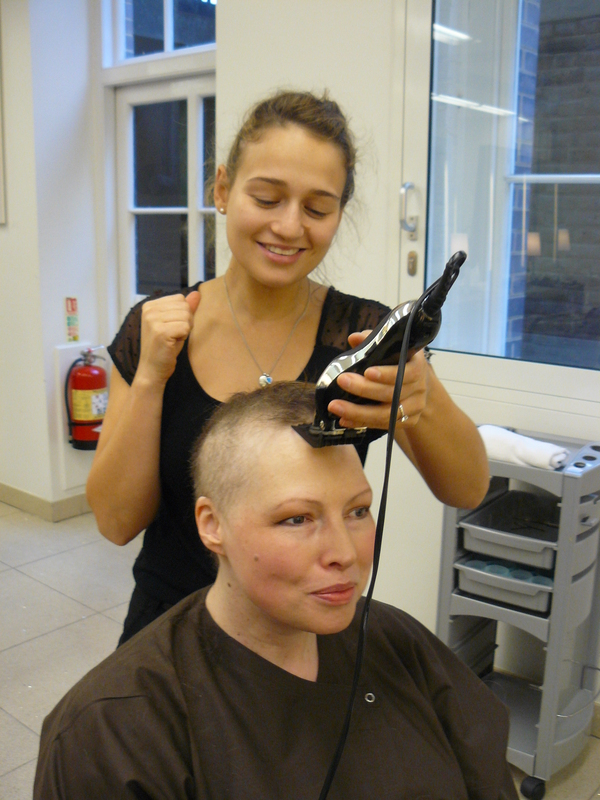 After my chemo hair loss, I stopped looking at my face too closely and put my make-up on using a rubbish tiny mirror. I didn’t want to focus on what wasn’t there. Anyway, that night I was removing my make-up. The eyeliner was proving to be quite stubborn, it just wouldn’t come off. I found a proper big mirror that was well lit. I stared at my eyes and rubbed harder. Then I realised that it wasn’t smudged make-up. Ohhh no. Amazingly, it was my actual eyelashes. They’re back!! I was so surprised to suddenly see them again. I thought that it would take much longer. Not only that but I also have eyebrows again! Even the hair on my head has started to come back thick and fast. I now have a brown coloured scalp. It’s like snap-on Lego hair. It’s way too short to go wig-less. 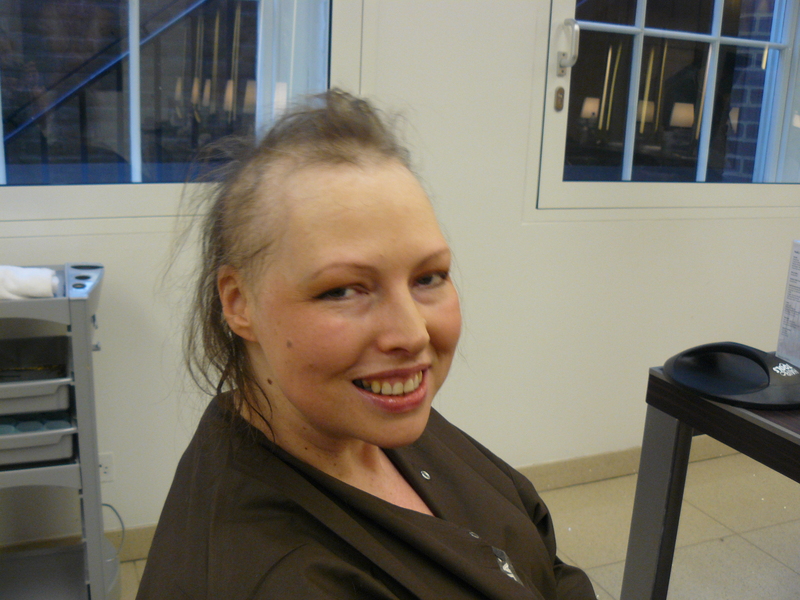 Besides, I didn’t choose to have this very severe hairstyle; this is what cancer did to me. That’s why I don’t want to be seen out in public like this. I’m sure no one would care if I did but that’s not the point. The toxic treatment takes away much of your identity but it also gives you a chance to experiment. I think that why I’ve enjoyed being blonde. I’ve had fun being Raquel and Candice which came from the hospital’s wig man. I decided that it was time to see what else was out there and went wig shopping. I tried on plenty of new styles but there was only one that I wanted. I chose to be me again. My new wig is just like my old hair. A bit shorter and slightly lighter but very very similar to what I once was. It feels much softer and more natural than any of my other ones and moves almost like real hair. For my fellow wig wearers – it has a monofilament top and comes from the Vicki Ullah Wig Boudoir – hey get me! Right now, my new wig has no name. I can’t think of anything that seems suitable. Maybe it’s because this isn’t a new identity. This is me. 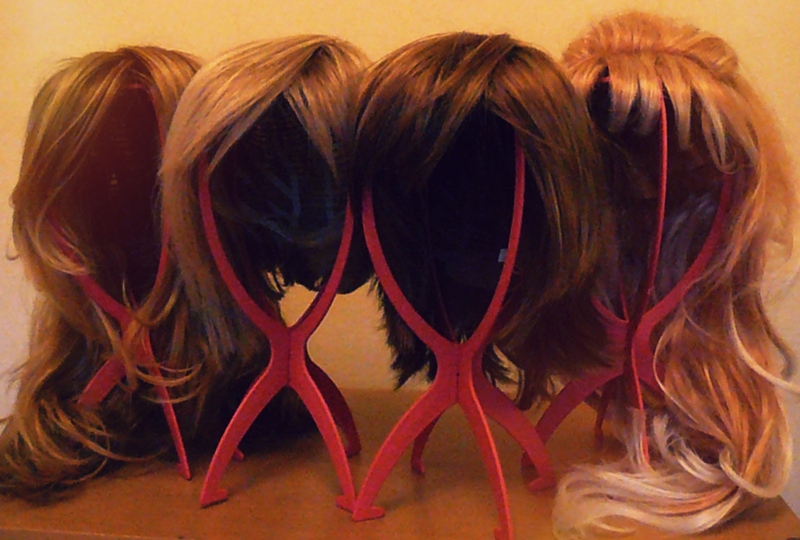 But, don’t worry, I won’t be putting the other wigs back in their boxes just yet. I’m now going to a part time blonde. If you had to pick a time of year to have a chemocation then I suppose autumn/winter is perfect. A chemocation is rather like a staycation. Only this is no holiday at home but chemo enforced time off. And I can’t wait for it to be over. Thanks to my incredible tiredness I’m still mostly stuck indoors. 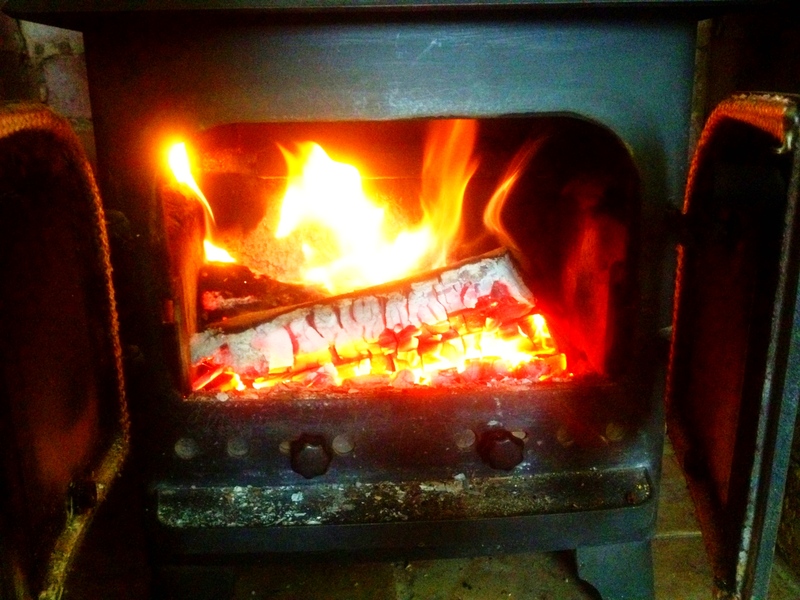 One of the perks of an A/W chemocation though is being able to have quality time by the log fire at my parents’ house. There are worst ways to spend an autumn afternoon. But really I’d rather not be stuck indoors. Slowly I’m building up my stamina so that I can spend more time outdoors getting cold and wet. The chilly weather means that when I do go out I can easily wear a hat over my shaved head and it doesn’t look out of place. I like my new number 3 hair cut but I’m not going to be showing it off in public anytime soon. That would just take too much energy. It’s less stressful to just blend in. Raquel, Candice and very occasionally Barbarella are also helping keep me warm. I quite enjoy wearing my wigs. They still itch like crazy but over heating is no longer such a problem. 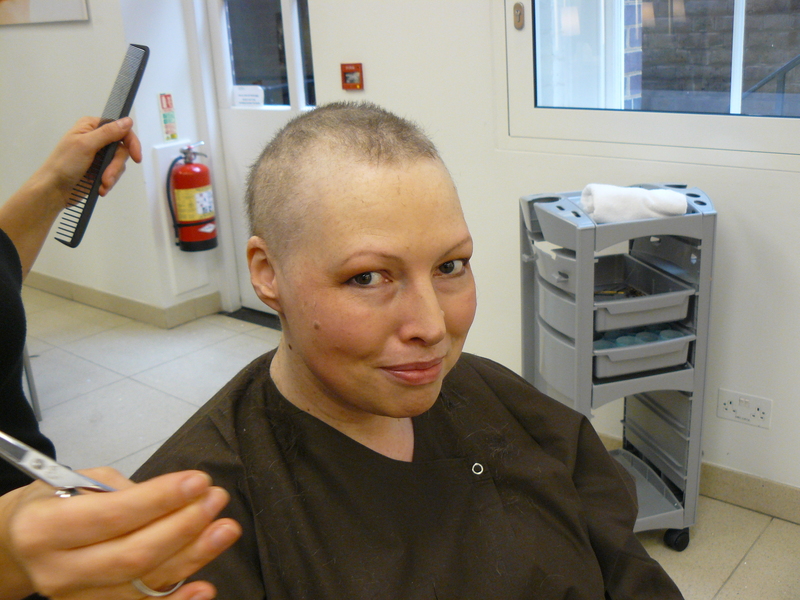 Ten years ago when cancer last made my hair fall out, it was all very different. Back then I told hardly anyone, I was so embarrassed. I didn’t even have a name for my wig. It was identical to my old hair. I didn’t like wearing it and I never realised how handy it would be on my travels. I’d just moved to Moscow for the BBC and it was the very start of winter. 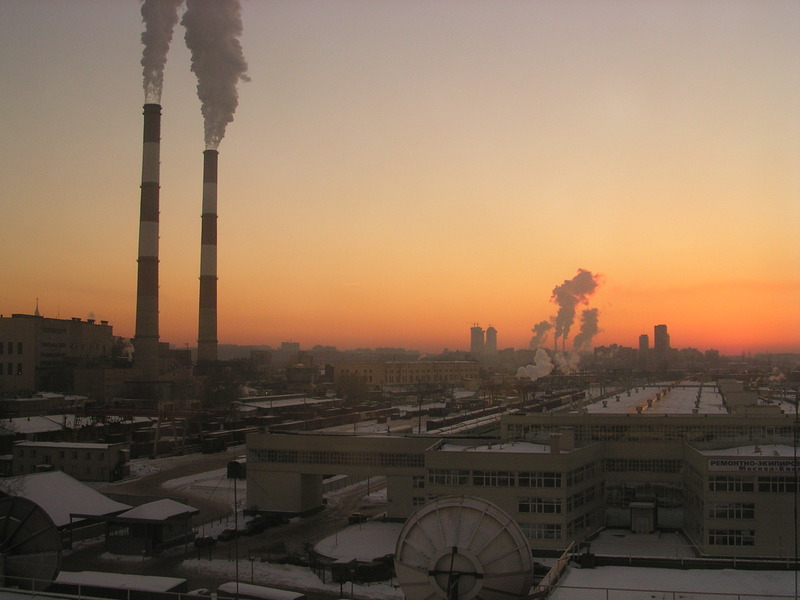 Russia was properly freezing, exactly how you’d imagine that it should be. I’d wake up every day hoping that it had snowed overnight and often I was excited to find that it had. At times just being outside was painful; as you breathed in, the icy air would scratch your throat and made your lungs feel like they were on fire. One Sunday afternoon, not long after arriving, I ventured out to a market on the edge of the capital. It was next to one of the furthest stops on the metro. On the way there I sat opposite a pensioner. The woman with dyed red hair was dressed in fur from head to toe. She eyed me suspiciously and then gave me a right telling off. My crime? Not wearing a hat. As way of an apology I said that I was English. I didn’t feel like revealing my lack of hair to a random stranger. However she was right to chastise me. It was so arctic outside that within minutes of getting off the metro, my mobile phone had frozen. Yet my wig was brilliant. My fake brown bob kept my head beautifully warm. These days I tend to wear hats a whole lot more, even when I’m inside. It turns out that my internal temperature gauge has bust. All those evil chemocation cocktails are to blame. My body thinks that I should be around 35c. Unless I’m in a swelteringly hot room I tend to spend much of the time shivering. According to my hospital handbook, my temperature is a code red and I should alert the on-call oncologist straight away. Ever since my cancer operation my feet have been a bit numb and never that warm. Now they are like blocks of ice. It’s like I’ve just come in from the cold after a day braving the elements in Moscow. 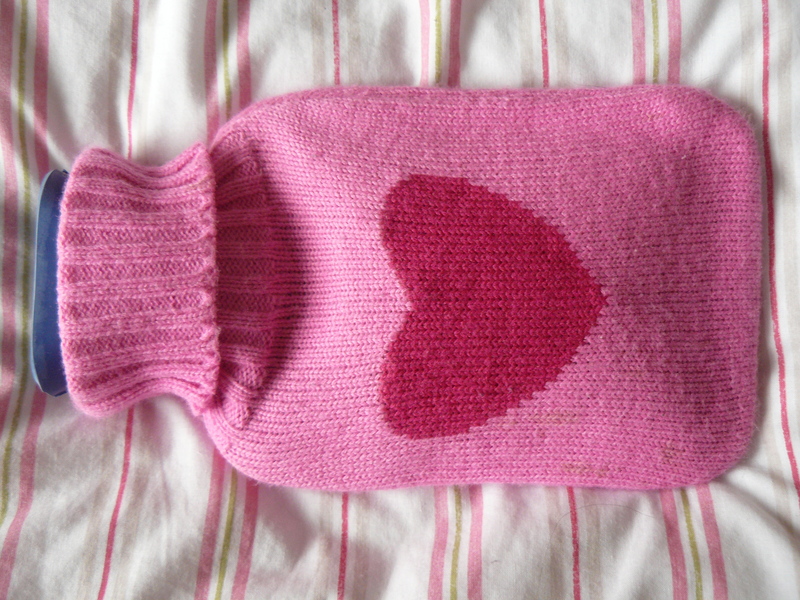 So I wear thick ski socks at all times and I have a selection of hot water bottles which get a lot of use. Sometimes I sit in the living room wrapped in a duvet next to the fire. But apparently my low temperature is nothing to worry about. The problem should just improve all by itself. In the meantime I’ve been told to wear lots of thermals. Here’s some freaky logic. It may be warmer inside but I tend to shiver less when I’m outside. Maybe this is my body’s way of saying that I need to get out more as the chemocation is coming to an end. Not long after my last session of chemo I actually got to see the Olympics. I still can’t quite believe it. The day before I’d been shattered. I wondered if I could even make the journey across London. But there was no choice. I wanted to go so I had to feel well. After months worrying about tumours, rogue cells and being so agonisingly ill, it was great to focus on something totally unconnected to cancer. Mum and I had tickets for basketball but our first event of the day was show jumping at Greenwich Park. To get to the venue we did it like David Beckham and sped along the Thames by boat. I have to admit I was nervous about the day ahead. I hadn’t done anything requiring this much effort for such a long time. 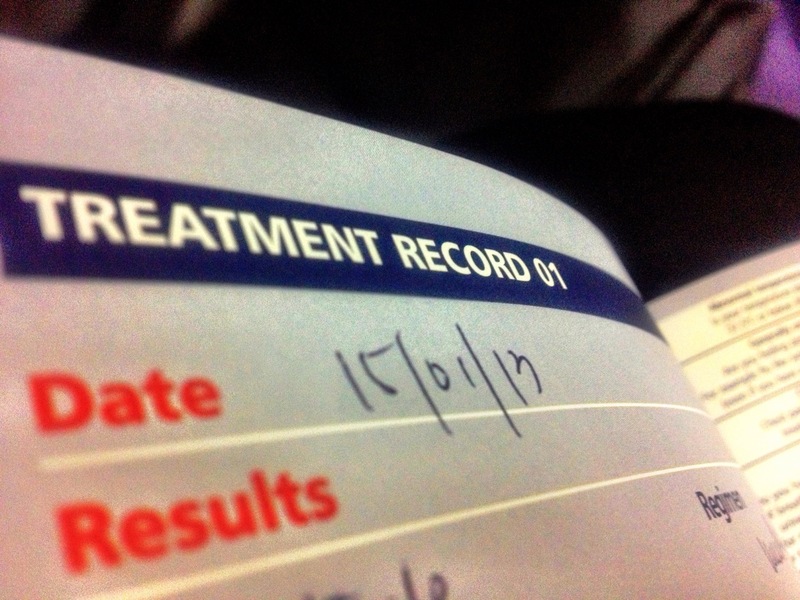 Despite being determined not to be beaten by the chemo, I knew I was going to have to take it easy. But this wasn’t about what I couldn’t do; it was about enjoying a glimpse of normal life and how things will be when I’m all recovered. Because of this I thought there was no better time than to wear a wig for real. Say hello to Raquel! This is a Raquel Welsh wig and so it becomes my Raquel. It was quite surreal suddenly going blonde. The Olympic day was planned like a military operation. I’d slept as much as I could since chemo. I’d organised my medicine so that I was taking the max pain killers at the right time on the Sunday. Most importantly mum had hired me a wheelchair. There was a torrential downpour as the morning session of the show jumping started but it didn’t matter. I’d managed to get to the games. It was an amazing feeling to be part of the Olympics. For Team GB it was the beginning of an historic gold medal winning performance. I was also finding it quite tiring. Plus the super strong tablets had left me drowsy. As the final horses finished I had a sleep in my wheelchair. I was very grateful for that chair. There was no way I could have managed without it. 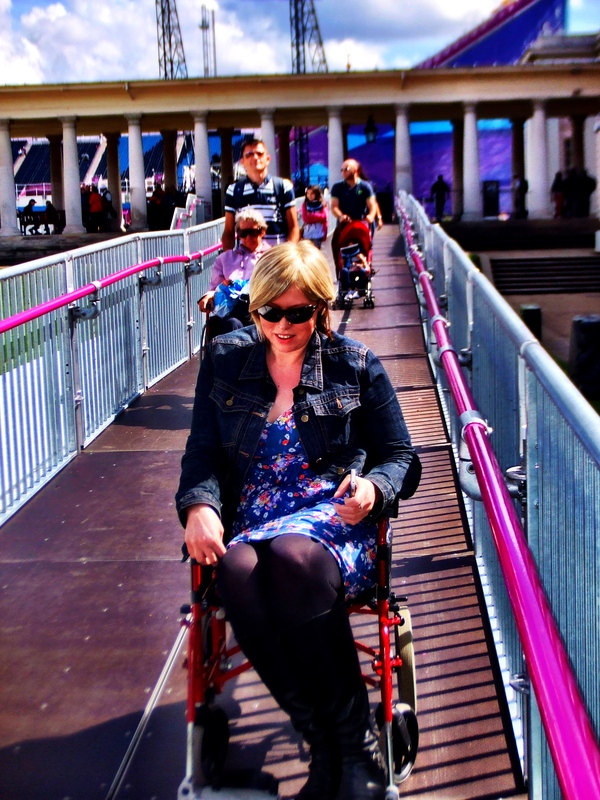 It had been mum’s idea to get the wheelchair even though it meant that she had to push me. I thought that we might only manage the morning. Mum had had other ideas and we headed for the Olympic Park. Luckily she’s very fit and when we had a clear stretch of pavements we whizzed along. If there were people walking the same way as us, mum enjoyed overtaking them. It was definitely fun but shocking too. 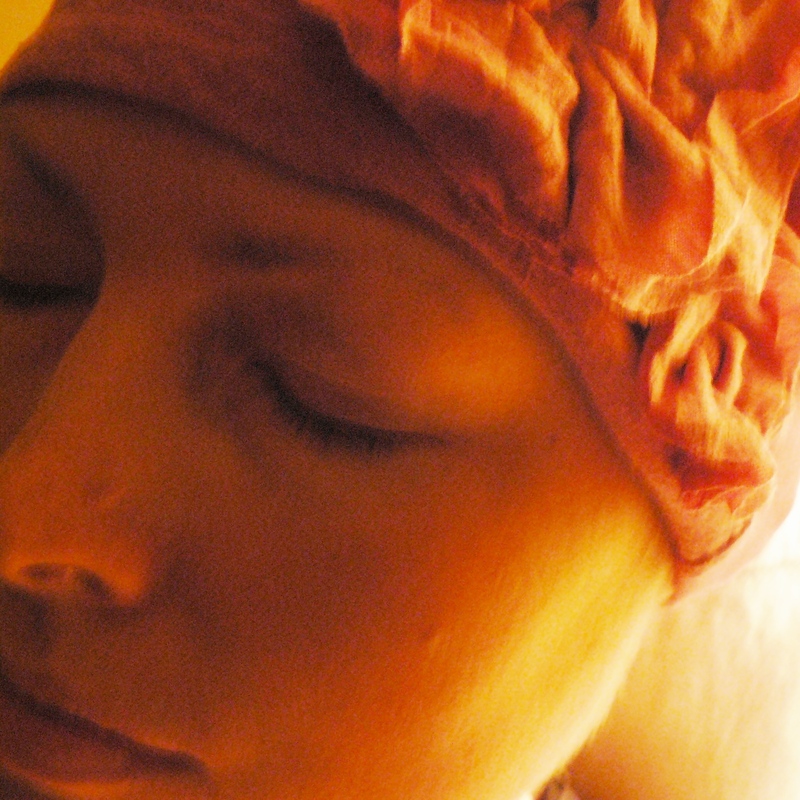 It made me understand just how much of an impact the cancer, surgery and chemo have had. Thankfully I know that I’ll recover. Spending all day in the wheelchair also left me stunned. It was as if some people had never seen a wheelchair before. As we tried to navigate busy areas, some just starred and stood in the way. When we needed help few people offered any assistance. The people working at the games however were brilliant. At the Olympic Park we were given a lift on a golf buggy. The wheelchair was strapped to the back. Our driver tooted his horn and shouted, “Team GB on board” as we made our way through the crowds. The last time I was there was back in January. I was reporting live for BBC News on the start of the Olympic year. Just a few days before I had symptoms that made me think that something could be wrong. So much has happened since then but it’s almost all over. I’m so glad that I made it. This feels like I’ve come full circle. Incredibly we managed to stay to the end of the evening session of basketball. I was knackered, of course and in some pain but delighted. This was good pain, the kind that you get from doing too much. It’s taken days of sleep to recover. 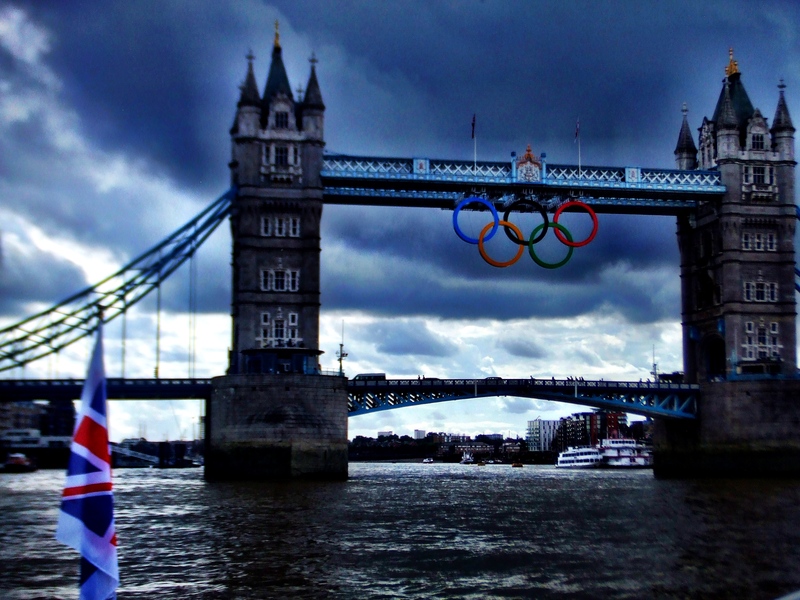 Since the opening of London 2012 I’ve been watching Team GB with so much pride. Now the Olympics has helped me to achieve something that was way beyond my expectations and I feel very proud of myself too.